Heat a teaspoon of oil on medium heat in a ladle. Once the mustard seeds pops, add green chillies. Fry it until it turns little white . 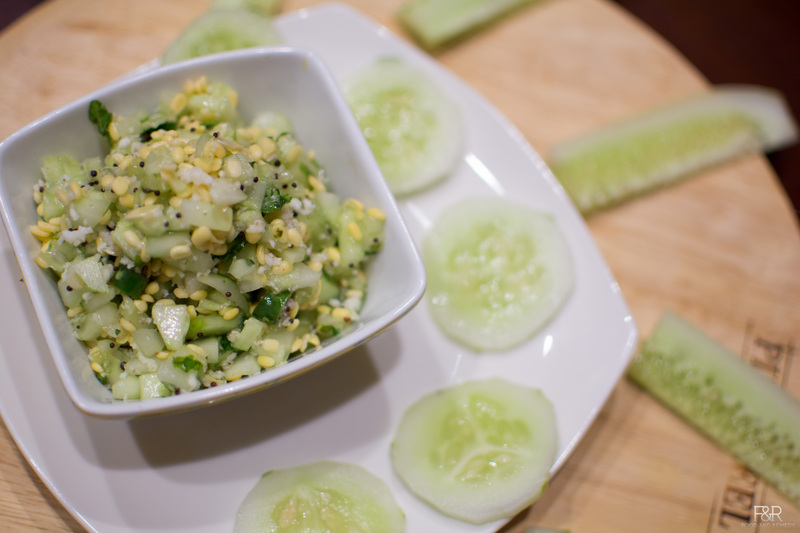 Turn off the heat and add this prepared seasoning to the cut cucumber. Add cilantro, coconut, salt and mix well. Now the cucumber salad ready. Add this dal to the salad, mix well. If you like squeeze little lemon juice as well. Salad is ready to eat!